The 2016 season is winding down at many tracks here in the western states area and , in many cases, the special shows such as champions nights and other special events are going to be the order of the racing weekend. EVERGREEN SPEEDWAY. 5/8, 3/8 &1/5 MILE. MONROE, WA. www.evergreenspeedway.com SATURDAY, OCTOBER 22ND. Here's one of those special post season events. The Evergreen Speedway will be presenting the Interstate Batteries Pumpkin Smash Enduro this Saturday. This event is a four hour, multi turn, rain or shine enduro that pays $500 to win. The event is open to cars from the Hornet, Bumble Bee, Stinger, Road Runner and Tuner divisions. The spectator gates will open at 11 am with racing receiving the green flag at 12 pm. General admission tickets, age 13 and up, are $10 with kids age 12 and under admitted free. GOOD TIMES QUARTER MIDGET RACING ASSOCIATION. 1/20 MILE. MADERA, CA. www.goodtimesqm.com.SATURDAY, OCTOBER 22ND. Good Times will be presenting their Regional Rumble/Pumpkin race this Saturday, from 9am to 5pm, featuring seven different classes of quarter midget racing divisions. This outstanding organization, sanctioned by Region 11 of the Quarter Midget association of America, promotes family themed racing events for boys and girls age 5 to 16. For more details regarding Saturday's event, contact Kim Avesdisian at 559 313 3982. HAVASU 95 SPEEDWAY. 1/4 MILE. LAKE HAVASU CITY, AZ. www.havasu95speedway.com SATURDAY, OCTOBER 22ND. 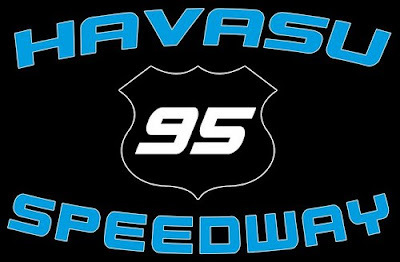 Havasu 95 will present round two of their 2016 -2017 winter racing series this Saturday night featuring on track action from the Get It In Gear Street Stocks, the Havasu Wiring Outlaw Karts, the Sam Nichols Electric Factory Stocks and the Flowers Assisted Living Team Factory Stocks. The race evening is being presented by Carquest Auto Parts and Big O Tires. The spectator gates will open at 4 pm followed by racing at 6 pm. General admission tickets, age 17 plus, are $12 and $10 for seniors, military personnel and the handicapped. Tickets for kids, age six to 16, are $6 with kids age five and under admitted free. The speedway offers a budget friendly family package, priced at $25, which admits two adults and two kids. Tickets for the speedway's VIP section, featuring the best seats in the house, are also available for $25. LAS VEGAS MOTOR SPEEDWAY BULLRING. 3/8 & 1/3 MILE OVALS. LAS VEGAS, NV. www.lvms/bullring. FRIDAY & SATURDAY, OCTOBER 21ST & 22ND. Here's another one of those hot racing tickets from Las Vegas featuring their Senator's Cup Fall Classic this weekend. The highlight will be the 150 lap feature for Super Late Models that pays $15,000 to win. The winner's check will be presented by U.S. Senator Dean Heller, (R-Nevada), himself a former race driver at the Bullring. On Friday the gates will open at 4 pm followed by qualifying at 430 pm and heat races at 6 pm. Also on Friday's schedule are main events from the USAC HPD Midgets-30 laps, the Southwest Tour/Pro Truck Series-50 laps and the USLCI Legends-25 laps. On Saturday the gates will again open at 4 pm followed by heat races at 415 pm and B mains at 445 pm. The main events of the evening will follow the 6 pm opening ceremonies featuring the USLCI Bandoleros-20 laps, Bomber Stocks-30 laps, Super Stocks-50 laps, USLCI Legends-25 laps, USAC HPD Midgets-30 laps, Late Models-100 laps and the aforementioned 150 lap feature from the Super Late Models. This special weekend comes with a variety of ticket options. Advance tickets can be obtained at the speedway's box office or by calling 702 644 4444. The tickets can also be obtained via the speedway's official website. The Bullring's very budget friendly concession stand will be up and running this weekend featuring $2 hot dogs and Coca Cola products along with $3 Budweiser products. Anytime you can enjoy a hot dog and a beer for $5 while watching all of this racing is a good thing. LOAN MART MADERA SPEEDWAY. 1/3 MILE. MADERA, CA. www.racemadera.com SATURDAY, OCTOBER 22ND. The fastest one third mile in the west will be presenting their tenth annual Pumpkin Smash, Halloween Bash and Blow Up this Saturday night. This unique show includes a 250 lap enduro race that pays $2,000 to win, along , with the Extreme Barrel Racing Series, a demolition derby, an off road truck race and a stunt show. For the kids there will be a trick or treat through the pit area along with the kids participating in the annual on track pumpkin smash. All of this fun begins at 6pm. General admission tickets are only $15 and $13 for seniors and military personnel. Youth tickets, age six to 12, are $7 with kids age five and under admitted free. SPEEDWAY WILLOW SPRINGS. 1/4 MILE. ROSAMOND, CA. www.thespeedwaywillowsprings.com SATURDAY, OCTOBER 22ND. 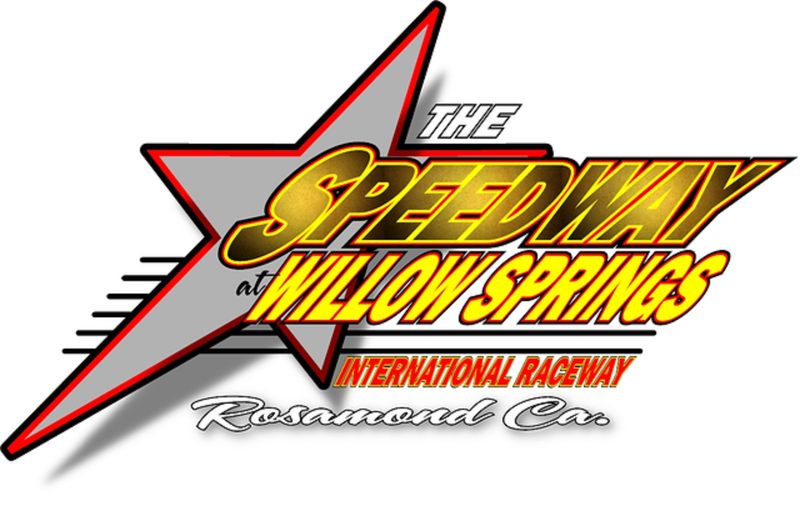 The Speedway Willow will be presenting their 2016 finale in very grand fashion Saturday night by presenting a special show they're calling The Night of Champions and Destruction In The Desert. This special show is being presented by the Pinnacle Peak Steak House and Platinum Jewelry and Loan. On the racing side of the program, the on track excitement will be provided by the speedway's Street Stock, Mini Stock, Elite, So Cal Enduro, Skid Plate and Bandolero divisions. The Destruction In the Desert excitement will feature a figure 8 race, a mechanics race, demo cross and a trailer race of destruction. The speedway hasn't overlooked their younger fans. For the kids there will be trick or treat goodie bags for kids age 13 and under, a Halloween costume contest, a kids candy toss, kids big wheel racing and the speedway's traditional on track pumpkin smash. The day will begin with an open practice session at 1030 am followed by qualifying at 130 pm, heat races at 3 pm and main events going green at 6 pm. Adult wrist band tickets are $10 with kids age eight and under admitted free. The wrist bands will allow fan access to all Willow Springs International Raceway tracks and events on both Saturday and Sunday. In the case of this weekend there will be sports car racing on Saturday and motorcycle racing on Sunday on the 2.5 mile, nine turn, road course. UKIAH SPEEDWAY. 1/4 MILE. UKIAH, CA.www.lakeportspeedway.com FRIDAY, SATURDAY & SUNDAY, OCTOBER 22ND -23D. The Lakeport - Ukiah Speedway Challenge Series, presented by Furia Motorsports, will be located at Ukiah this weekend, the home of the 2016 Fall Classic. The weekend begins on Friday with an open practice session for all divisions. On Saturday and Sunday the spectator gates will open at 330 pm followed by qualifying at 5pm and racing to follow. The fully loaded racing schedule will be provided by the speedway's Bomber, Jammer, Legend, Modified, Pro 4 and Late Model divisions. General admission tickets, age 12 plus, are $15 and $11 for seniors and students. Tickets for kids, age six through 11, are $8 with kids age six and under admitted free. Tickets for military personnel and 1st responders, with valid ID, are $8. WASHINGTON QUARTER MIDGET ASSOCIATION. 1/8 MILE. MONROE, WA. www.wqma.com. SATURDAY, OCTOBER 22ND. Here's another one of those wonderful organizations designed for kids beginning their driving career in quarter midget. The Washington Quarter Midget Association will be launching their winter racing season this Saturday, featuring their 16 racing divisions, with the track going hot following the 845 am mandatory pit meeting. The association wants you to know that family, friends and other visitors are always welcome to watch their races and that's why spectator admission is free. 2- Just two points separated Mitch Kleyn and Brittney Zamora in the final 2016 NWLSMS Championship standings. Kleyn finished third and Zamora fourth. 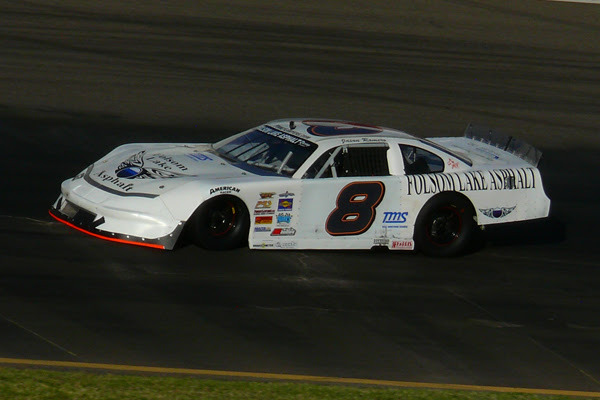 3- Garrett Evans won his third straight NWLSMS Championship. 4- The NWSLMS showcased its diversity with four female drivers competing in the series during the 2016 season. Series Jefferson Pitts Racing Rookie of the Year, Brittney Zamora, led the charge with veterans Nicole Behar and Molly Helmuth making return appearances. Brooke Schimmel made three starts as she prepares for a run at the series Rookie of the Year title in 2017. 4- Prior to the start of the season, Garrett Evans has yet to capture a series main event victory. This year the 60-year old captured four wins en route to his third consecutive championship. 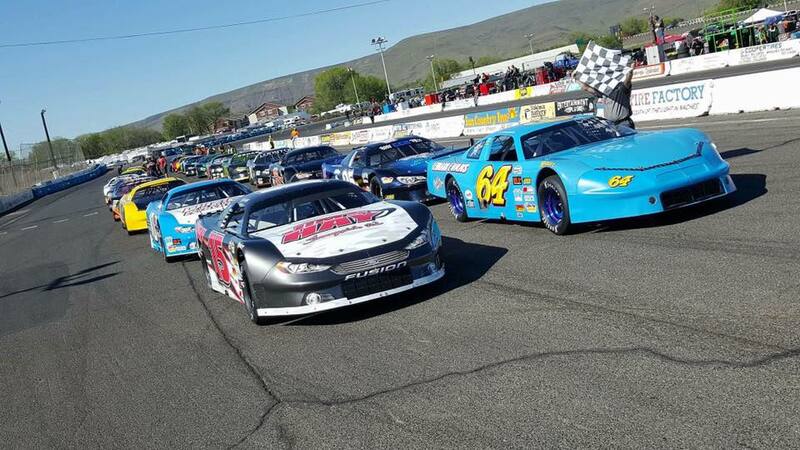 Evans won the 50th Apple Cup at Yakima Speedway, Park Model Homes 125 at Spokane Super Oval, Idaho Tune-Up 150 at Stateline Speedway and Park Model Homes presented by CAL 125 at Spokane Super Oval. 4- This year showcased four different winners finding victory lane in the NWSLMS eight-race season. Winners included Garrett Evans, Braeden Havens, Shelby Thompson and Jason Jefferson. 6- Drivers traveled from six US states or Canadian providences to race in the series during 2016. They included Washington, Idaho, Oregon, Montana, California and British Columbia. 15- The young guns of the sport came out this year with Jan Evans and Brooke Schimmel being the youngest competitors on the year at just 15 years old. 23.12- The NWSLMS averaged 23.12 cars per race during its eight-race season in 2016. 28- The NWLSMS has raced 28 times in first three years with stops at six different tracks along the way. 32- The largest field of the year for the NWSLMS was at Yakima Speedway and the running of the 29th Annual Fall Classic. A total of 32 drivers took the green flag that day. 60- Garrett Evans turned 60 years old this year and it didn’t slow the veteran down. The East Wenatchee, WA driver collected four wins and his third straight championship to highlight a stellar 2016 season. 64- While this is the number that adorns the championship race car, it is also the number of drivers that competed this season on the NWSLMS. 70- The Series showed it diverse range of age groups competing as Dan Obrist was the oldest driver to compete on the series at 70 years old. 145- Continuing to show growth and popularity, a total of 145 drivers have competed in the series since 2014. 1,225- Drivers had 1,225 laps of main event competition during the 2016 season during the eight races. The two longest races this season were Stateline’s Idaho 200 and the Yakima Speedway Fall Classic 200. 7,824-It was a lot of highway miles this year for Ryan Wells as he logged 7,824 miles traveling from Hingham, MT to race with the series seven times. Wells finished fifth in the NWSLMS championship points standings. $18,500- Cash Awards of $18,500 will be awarded on January 14th at the 2016 NWSLMS Banquet in in Wenatchee, WA. Using the fun title of "Nuts About Racing", the Havasu 95 Speedway returns to action this Saturday with round two of its 2016 - 2017 winter racing season. The famed quarter mile paved oval, located in beautiful Lake Havasu City-Arizona, will be presenting hot racing action from their Get It In Gear Street Stocks, Havasu Wiring Outlaw Karts, Sam Nichols Electric Factory Stocks and, making their winter season debut, the Flower Assisted Living Team Factory Stocks. The spectator gates will open at 4 pm with the green flag falling on the racing action at 6pm. This evening of race fan fun is being presented by the locally owned and operated Carquest Auto Parts and Big O Tires. The current points standings for the Get It In Gear Street Stocks are based on the October 1st season opener but it's already apparent that this exciting division is going to, once again, be the lynch pin of the speedway's still young racing season. Tyler Savage goes into Saturday night leading the championship standings with 53 points closely followed by Garrett Reinoso-48 with series veteran William Guevara and reigning division champion Bobby Keirns tied for third at 46 points each. The Havasu Wiring Outlaw Karts have turned out to be the latest level of Havasu 95 Speedway excitement racing on a dirt course carved out in the speedway's infield area. Their October 1st season debut featured double main events with the results showing drivers Luke Silber and Taylor Whitefield tied with 98 points each followed by drivers Korbin Mitchell and Aiden McCorkle tied for third at 90 points each. The points standings for the Sam Nichols Electric Factory Stocks is indicating that reigning series champion Brent Delay is planning to pick up a title run where he left off. An October 1st main event win places him on top of the standings with 50 points. However, right behind him are drivers Jeff Prieur at 48 points, Chris Blackwell-46 with drivers Jeremy Orozco and Jose Guevara tied for fourth at 44 points each. The Flowers Assisted Living Team Factory Stocks will be making their season debut this Saturday night. This racing division features a concept of having three rotating drivers. Team Take and Bake are the reigning series champions following a close title run that saw them finish a mere four points over the Asphalt Junkies and six points over EWWWWEEEE Racing. General admission tickets, age 17 and up, for Saturday night are $12 and $10 for seniors, military personnel and the handicapped. Tickets for kids, age six to 16, are $6 with kids age five and under admitted free. The speedway also offers a budget friendly family package, value priced at $25, which admits two adults and two kids. Fans can also enjoy the special amenities of the VIP section, featuring the best seats in the house, for $25. For more information regarding the 2016 - 2017 winter racing season, dial up the speedway's official website, at www.havasu95speedway.com , or visit their Facebook page. The Speedway Willow Springs will wrap up their 2016 racing season this Saturday night with a special show they're calling "Night Of Champions and Destruction In The Desert." The evening will feature high energy racing from eight different racing divisions along with special racing and fan interactive events during the course of a show that can only be described as being "fully loaded." This very special evening is being presented by the Pinnacle Peak Steak House, with locations in Colton and San Dimas, as well as the Lancaster based Platinum Jewelry and Loan. This always challenging one quarter mile paved oval is located within the 600 plus acre Willow Springs International Raceway complex in the beautiful community of Rosamond, California. The racing divisions providing the action entertainment will include street stocks, mini stocks, hobby stocks, the elite division, So-Cal enduros, skid plates, bandoleros and figure eights. Because this season finale is so fully loaded, the start time will be a little earlier than usual. The day begins with an open practice session at 1030 am, followed by qualifying at 130 pm, heat races at 3 pm, an on track driver meet and greet at 5pm followed by the main events of the evening. First and foremost, the evening is going to be about resolving division championships. The one racing division that literally leaps off of the Speedway Willow Springs championship page is, without question, the Lucas Oil Products Mini Stocks. Going into Saturday night, driver Greg Didoha leads the standings, with 85 points, based on a highly consistent season of top five finishes. However, he only holds a two point advantage over Bobby Dezarov who has more than proved that he's capable of winning a main event while behind the wheel of John Dunlap's Ford Mustang. Had it not been for a October 1st schedule conflict, that forced Dezarov to miss a race, he might have been the points leader going into Saturday night. Also very much a factor, in the mini stock title profile, is the presence of Ryan Bragdon who is only four points away from first. Bragdon made his first appearance at Speedway Willow Springs for the third race in the season back in May. He made quick work in scoring three feature wins to become a major player for the series' championship. However, Bragdon also had a schedule conflict and had to miss the October 1st race. He was busy that night wrapping up a championship at the Irwindale Speedway, his home track. Yet another factor, in this too close to call championship run, is the Speedway Willow Spring's unique bonus point program. In addition to main event championship points, drivers can also earn bonus points for qualifying, heat race finishes and even passing points during a main event. This unique system could become a major factor in the Lucas Oil Products Mini Stock championship. The Hoopers Rear End Service Elite is a special racing group that allows super late models, late models, modifieds and trucks to race together under the auspices of a single rule book. 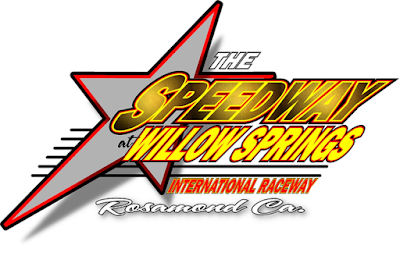 The division has been the lynch pin of the Speedway Willow Spring's 2016 season and will treat the fans to a 40 lap main event Saturday night. The series' has been dominated by the presence of driver David Brandon whose four feature wins has him on top of the standings with 176 points. Feature winner John Penning holds down second in the standings with 132 points followed by multi track champion Chris Peedan with 113 points. The Platinum Jewelry and Loan Street Stocks will be running a 30 lap main event Saturday night to resolve their championship run. A highly consistent, feature winning, Tony Forfa goes into Saturday night with 120 points. However, still active in this title run is Justin Good who is 14 points away from Forfa. A combination of good and bad racing luck, combined with the aforementioned bonus points, could impact the final result. Also running a 30 lap main event will be the Wayne & Dave's Automotive Hobby Stocks. Johnny Troesch has been the hot shoe in this division with multiple feature wins that allowed him accumulate 131 championship points. However, during the second half of the season, driver Michael Williams hit a hot streak and elevated his points status to second place only eight points behind the leader. This is going to be another championship run to watch that could go either way by the end of the series' main event. It simply wouldn't seem like Saturday night at Speedway Willow Springs without the So-Cal Enduro Series. This extremely popular series will be running twin main events. The first main, 25 laps in length, will be early in day, approximately 425 pm, and will have the starting line up running their traditional counter clockwise direction while negotiating their way around the large tractor tires placed on the two straightaways. However later in the evening, the enduro teams will be running a second 25 lap main under drastically different circumstances. First, there's going to be a change in direction. The drivers will be racing clock wise meaning turn four will become turn one. Making the event even more interesting will be the presence of large barrels of water the drivers will have to avoid. These double main events are being sponsored by the So-Cal Racers Swap Meet on Facebook along with Raw Motorsports and DRC Pump Systems. Jake Basham leads the series' standings going into Saturday night and holds a 16 point advantage over Randy Hannah. However between twin main events and extreme obstacles on the track, a 16 point lead is not exactly a guaranteed championship. Yet another factor here is the series' healthy car counts. There were 19 cars at their October 1st race and there has been word that some new teams will be on hand Saturday night. This series alone is worth the price of admission. Also popular with Speedway Willow Springs fans is the Tire Store Skid Plates. The teams remove the rear tires on the cars and replaces them with rims welded to quarter inch metal plates. Quite often, if a car comes off of a turn a little too hot, the results is multiple 360 spin outs. Jon Carter leads the series' standings with 71 points followed by Mike Howard-60 points and Daniel Chadwick-54 points. This is another series where literally anything can happen in a second's notice and that factor could possibly change the outcome of the championship run. There will be a special guest appearance from the youngsters in their small, but very swift, Bandolero cars. These cars are occupied by the young future racing stars of tomorrow. Many prominent drivers, currently driving in regional late model series, got their start as early as six years old in this series. To see these young drivers crawl out of the top of these tiny cars for a victory lane interview is a major ooh and aah factor. With main events and championships resolved it will be time for the Destruction In the Desert portion of the show. The line up includes a figure eight race, a mechanics race, a demo cross event with the track loaded with obstacles and a trailer race of destruction. Being well known for family entertainment, the Speedway Willow Springs has plenty activities planned for their younger fans featuring trick or treat goodie bags for kids age 13 and under. There will also be a Halloween costume contest. the kids candy toss, kids big wheel racing and the speedway's annual pumpkin smash. Put in all together and the fans of Speedway Willow Springs are going to be treated to a fully loaded, spectacular, show this Saturday night all for the bargain price of $10 with kids age eight and under admitted free. The $10, payable at the front gate of the complex, is good for all activities at all of the Willow Springs tracks on both Saturday and Sunday. For example, your spectator's wrist band will allow you to take in Saturday sports car racing, during Speed Ventures' Auto Track Day, on the Big Willow, the massive 2.5 mile, nine turn, road course. For you drag racing fans, there will be street legal drags on Big Willow's 1,000 foot front stretch on Saturday. On Sunday, you can take in motorcycle racing on Big Willow provided by the Let's Ride Motorcycle Track Day. That's a lot of racing for a $10 wrist band. It's also the reason why the Willow Springs complex is so fan friendly. Saturday night is also an opportunity to say a huge thank you to the management and staff of Speedway Willows who volunteered their time and talent to create an outstanding 2016 racing season that was genuine fun for us, the fans. Racing at Speedway Willow Springs is supported by a highly potent, and much appreciated, group of sponsors that includes: A To Z Signs, ABADAK, Adams Metalizing and Grinding, Angel's Touch Towing, Benz Sanitation, Deist Safety, Dezarov's Mobile Auto Service, Dominguez Mexican Restaurant, 51 Fifty Energy Drink, Frank's Radios, High Desert Cellars, Hooper's Rear End Service, KGG Electric, K&N Performance Filters, Linny White's Race Shop, Lucas Oil Products Inc, Misfit Motorsports, Pinnacle Peak Steak House San Dimas and Colton, Platinum Jewelry and Loan of Lancaster, Scramblez, Street Customs, Studio Equipment Rentals, 10,000 RPM, The Tire Store and Wayne and Dave's Automotive. ROSEVILLE, Calif. - Todd Gilliland started the season with a historic winning streak. Wrapping it up Saturday night, an eighth-place finish was more than enough for the teenager to add to the record books. The 16-year-old from Sherrills Ford, North Carolina, clinched the 2016 NASCAR K&N Pro Series West championship with his 13th top 10 in 14 races. Ryan Partridge outlasted defending series champion Chris Eggleston and NASCAR Next driver Julia Landauer in a green-white-checkered finish to the Toyota/NAPA Auto Parts 150 presented by TriCo Welding Supplies at All American Speedway. Partridge's third win of the season in the No. 9 Sunrise Ford/Eibach Springs/Lucas Oil Ford wasn't enough to catch Gilliland, who won the crown by 13 points over the veteran driver from Rancho Cucamonga, Calif.
Gilliland breaks the record set last month when Cayden Lapcevich won the NASCAR Pinty's Series championship in Canada at 16 years, 10 months, 16 days. They both eclipsed the previous mark by 2015 Daytona 500 winner Joey Logano (Logano was 17 years, 3 months, 28 days when he won the NASCAR K&N Pro Series East title in 2007). The NASCAR Next driver’s championship title also marks the second consecutive title for owner, Bill McAnally. It's also Bill McAnally Racing’s seventh NASCAR K&N Pro West championship, as Gilliland joined Eric Holmes (2 titles), Brendan Gaughan (2), Sean Woodside (1) and Eggleston (1) as NASCAR K&N Pro West champions for BMR. Partridge was fastest in both practices Saturday morning at All American, and started on the front row after rain washed out qualifying. He dominated the evening's race, which was delayed several hours because of the weather. Cole Rouse, Cole Moore, Gilliland, Blaine Perkins and Dan Phillippi completed the top 10. Gilliland opened the season with a win at Florida’s New Smyrna Speedway in the NASCAR K&N Pro Series East. His seven total wins surpasses the mark set by NASCAR Sprint Cup Series driver Joey Logano (2007) and Dylan Kwasniewski (2014) of six NASCAR K&N Pro Series wins in a season since the East and West went to a unified rulebook in 2003. Gilliland started his winning ways in the 2015 K&N Pro Series West finale at Phoenix International Raceway, and in winning his first four career NASCAR K&N Pro Series starts, he matched the record set by International Motorsports Hall of Famer Dan Gurney. Gurney won the first four NASCAR Pacific Coast Late Model Series races he entered. 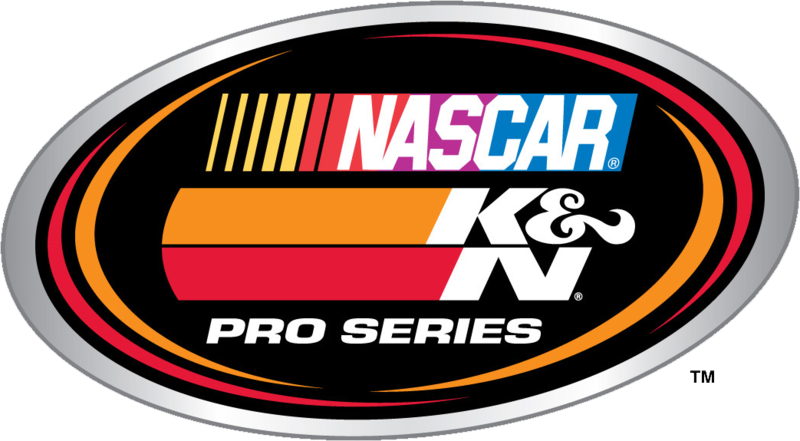 The Pacific Coast Late Model, which began in 1954, has evolved into the current NASCAR K&N Pro Series West. And Gilliland joined his grandfather as a NASCAR champion. Butch Gilliland won the 1997 West crown, while Todd's father David had his best series points finish of third in 2009. Gilliland, Partridge and other top performers from the NASCAR K&N Pro Series East will be honored on Saturday, Dec. 10 in Charlotte for the NASCAR Night of Champions Touring Awards celebration. The event will be held at the NASCAR Hall of Fame at the Charlotte Convention Center for the seventh consecutive year. ROSEVILLE, CALIFORNIA (October 16, 2016) - On a spooky evening at Roseville's All American Speedway, Jason Romero of Cameron Park stormed to victory in the third annual October Classic for the Pacific Challenge Series presented by PenneyLawyers.com. Saturday night's abbreviated 50 lap feature was shortened due to weather but that did not deter Romero from completing a perfect 4-0 season in PCS competition at the facility. Romero won all three PCS points races at the one-third mile asphalt oval before winning Saturday's non-points race. The event served as the undercard for the NASCAR K&N Pro Series, West "Toyota/NAPA Auto Parts 150 presented by TriCo Welding Supply". The second practice session of the afternoon served as qualifying due to the rain shortened schedule, with multi-time All American Speedway champion Eric Schmidt earning fast-time with a 13.306 second lap. A straight up start placed Schmidt on the pole for the 50 lap feature. Romero trailed Schmidt by just .032 in qualifying and proved that to be no fluke in the race. The top-two ran side-by-side for the first five laps of the race with Romero edging forward on the outside. Romero officially led lap three at the line by a nose and again led lap four before clearing Schmidt on lap five. Three-time All American Speedway champion Matt Scott and 2016 PCS champion Jeremy Doss both overhauled Schmidt to knock him back to fourth by lap ten. Schmidt managed to get third back from Doss by the halfway point of the race. 2016 Tri-Holiday #3 winner Travis Milburn of Eagle, ID took fifth from Doss' teammate Jeff Bischofberger at nearly the same time and then turned his attention to Doss. Milburn took fourth from Doss but never got the caution flag he needed to close things up with the top-three. Romero used the all green flag event to put laps on former PCS champions Mike Beeler and John Moore among others as he held off Scott by three car lengths at the finish. Schmidt, Milburn, and Doss rounded out the top-five in the rapid non-stop race as the only lead lap finishers. Milburn's run from seventh was enough for the Penney Racing Supply Hard Charger Award as well.